I find this a little curious, because we do this all the time. We’re not saying exactly what we’re praying for, or even what we’re praying about. So it’s easy to say, but perhaps not as focusing as we’d like to think. That’s why I like to pray for something more specific. And when I ask Mary to “pray for us sinners,” I like to focus on particular things. Reconciliation. Peace. Drawing closer to her Son. 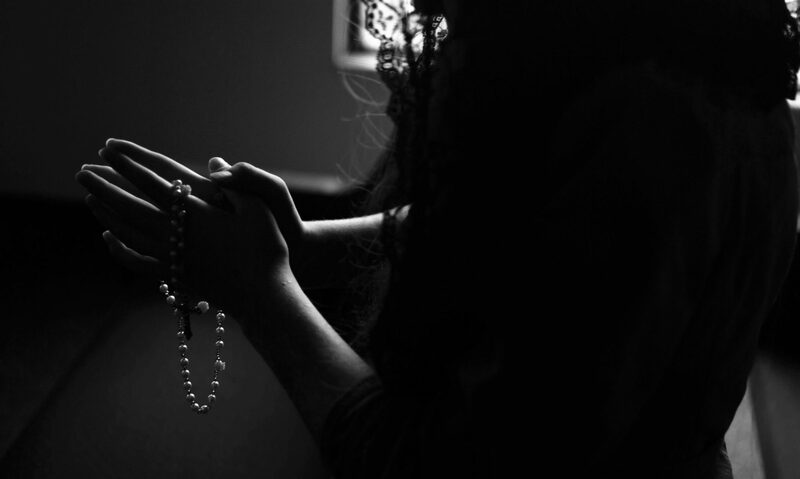 When I pray intentions for a particular person or situation, I look for specifics. Usually physical, emotional and spiritual healing – for an individual, for a group. After that, it’s up to God to answer the prayer in the way He deems best. And it helps me to ponder how I should engage differently myself, if that’s an option.